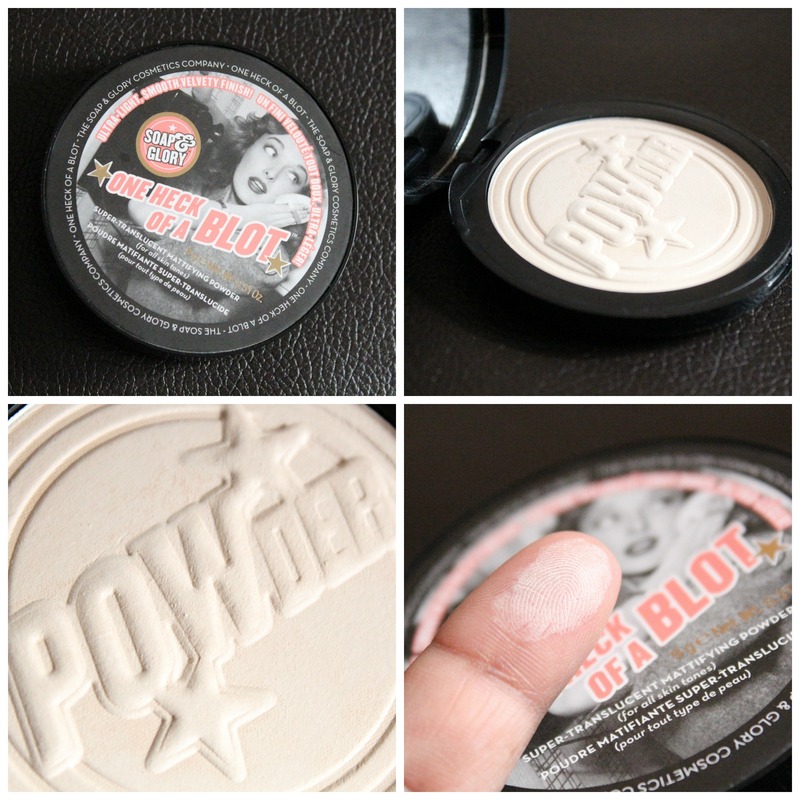 Review: Soap & Glory One Heck of a Blot Powder – amandarobots. Their names tend to include a lot of puns and plays on words, which I really like. 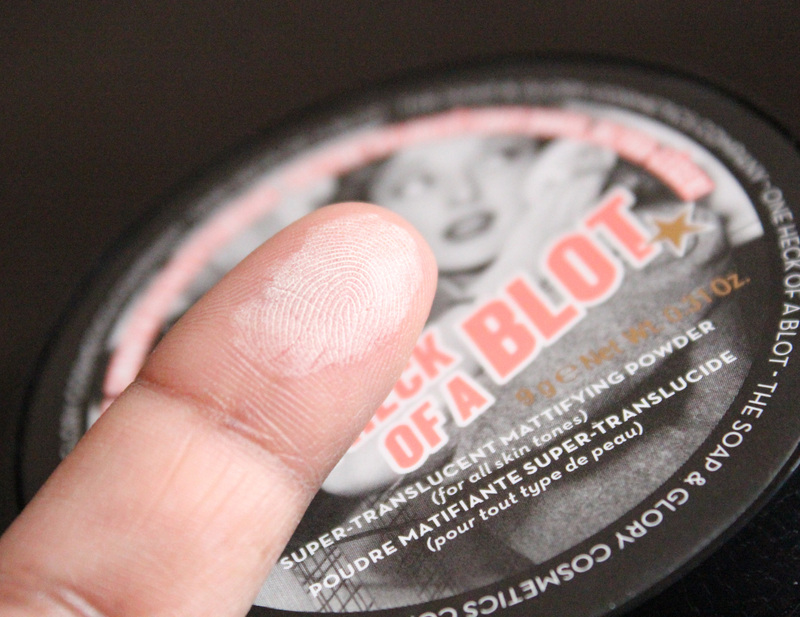 One Heck of a Blot is one of the products I was excited to try. It’s a mattifying translucent powder. The packaging is simple but cute, sticking with their retro theme. 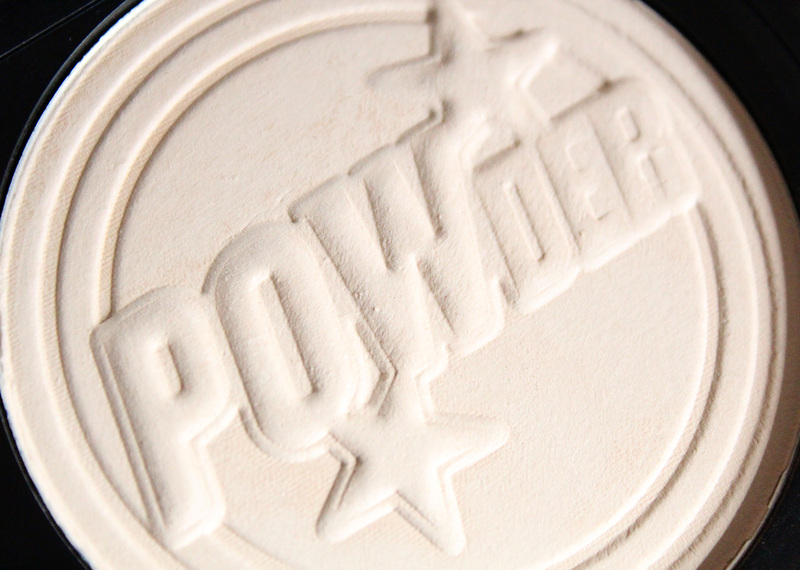 The product itself is a really great winter powder for me. I find that Rimmel Stay Matte can be a bit too mattifying in the winter, drawing attention to any remotely flakey areas. But this has just the right amount of “matteness”, leaving a finish somewhere between matte and satin. It has a very silky texture, and it’s difficult to pack on too much and make it look cakey. At the same time, though, a little goes a long way. Priced somewhere between drugstore and high end ($22CAD), it’s a little bit pricey. It’s in the range of a Physician’s Formula powder. Boots has them on sale a lot, though, so if you catch it on sale it’s not so bad. Overall, if you’ve got combination skin that leans towards dry in the winter, this is a great powder for you!